32oz filled right to the top, measurements on both sides indicate up to 24oz / 700ml. 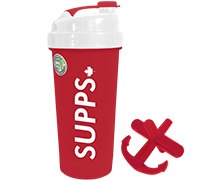 This bottle has the Supps.com logo on both sides! 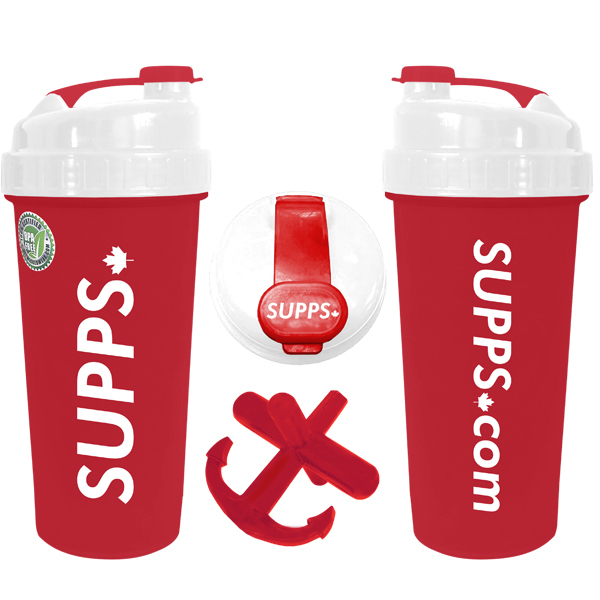 This shaker offers a sleek design with side grips, heavy duty, high density plastic, leak-proof flip cap, custom designed, proprietary Anchor-shaped mixer made to dissolve powdered product quickly.